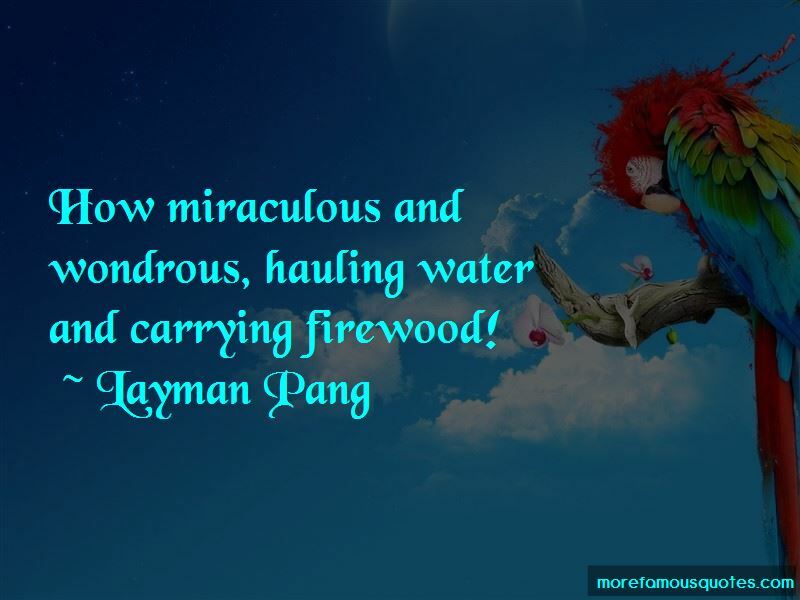 Enjoy the top 7 famous quotes, sayings and quotations by Layman Pang. The past is already past. Don't try to regain it. The present does not stay. Don't try to touch it from moment to moment. The future has not come. Don't think about it beforehand. When I chop wood, I chop wood. When I carry water, I carry water. 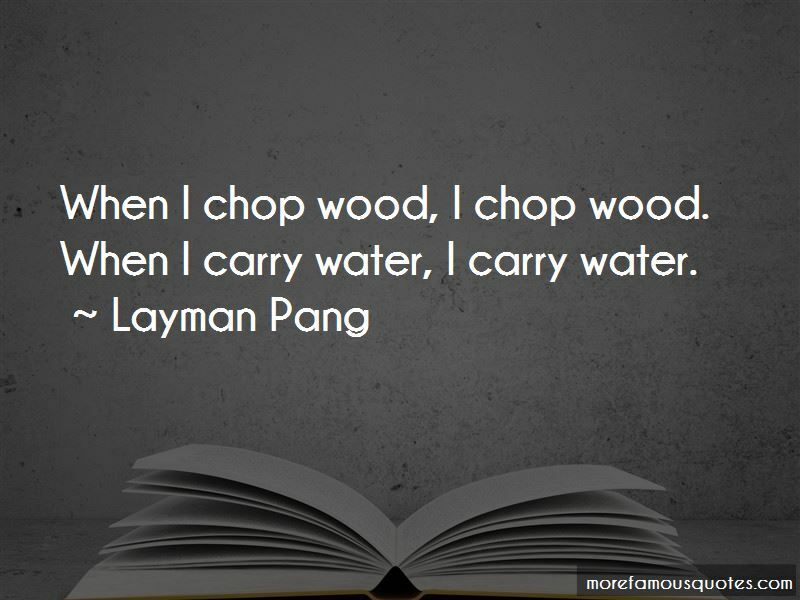 Want to see more pictures of Layman Pang quotes? 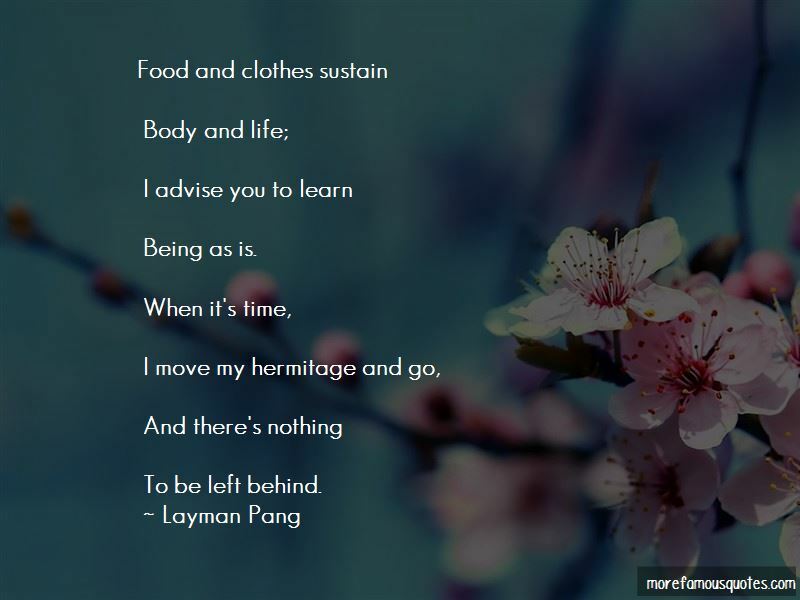 Click on image of Layman Pang quotes to view full size.